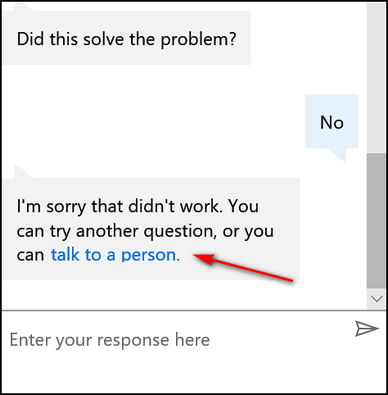 How many of you knew that you can get help from Microsoft by phone in less than five minutes (usually)? Yes you can! 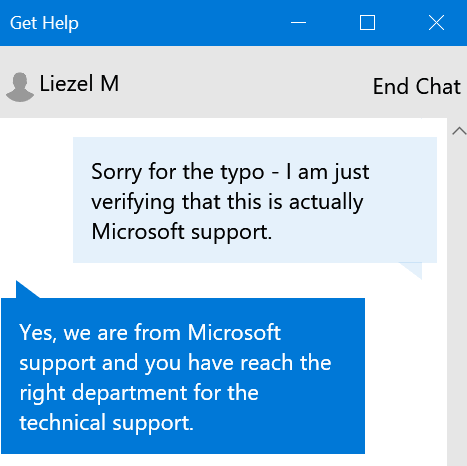 You can get support for Windows 10 right from your computer. Yes, indeed you can, I tells ya! 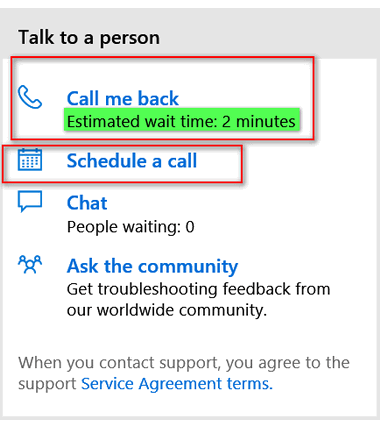 You can have Microsoft call you back or schedule a time when they can call you. 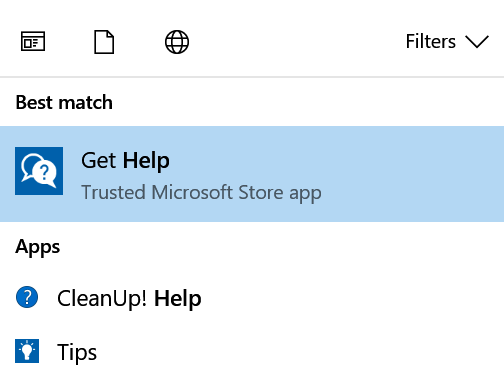 In the taskbar search (Cortana) type Support. Now, click on Get Help (above). 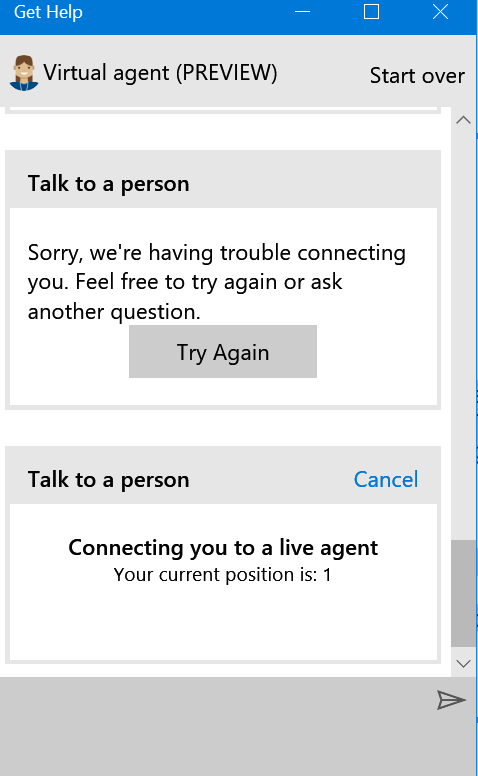 You have to wait while Microsoft Virtual Agent loads. It can take a minute or two. Type you your question – any question – at the bottom and click on the little paper airplane icon to send your message. 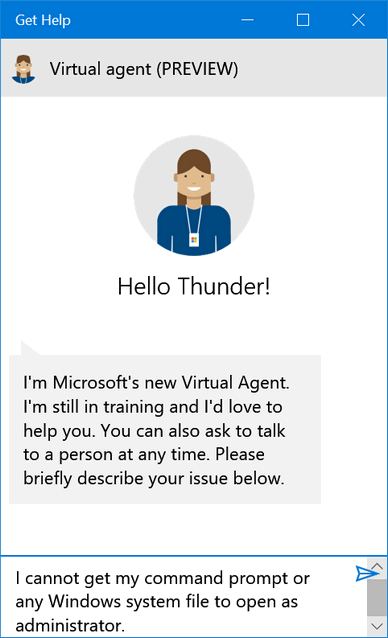 There’s a really good chance the Virtual Agent with all its (her?) artificial intelligence won’t have a clue what you’re asking or will provide answers that seem non sequitor. No matter – you want to talk to a real person right?. Then you’ll be able to have Microsoft call you back (virtually anywhere in the world) or schedule a time when you want them to call you back. For this tutorial, we chose to have Microsoft call us back. We typed in our country (United States) and our phone number and within 3 minutes Microsoft called back. 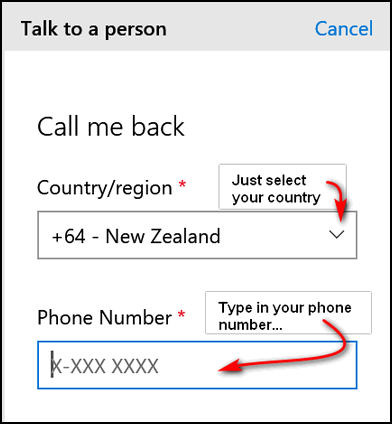 In the screen shot below, we show New Zealand as our country – just to show you that you can have Microsoft call you back regardless of where you live. So, if you’re having a problem with Windows 10, you can have Microsoft call you back or you can schedule a call right from your Windows 10 PC. NOTE: Basic support is free. However if you have a problem that would require Microsoft to connect to your computer to fix the problem there may be a charge. The charge will be based on the complexity of the service required. 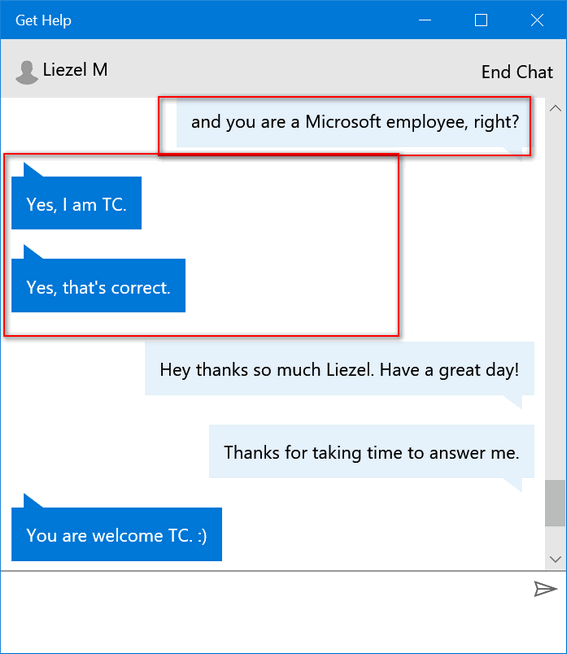 However you can chat or talk with a Microsoft employee, free of charge. 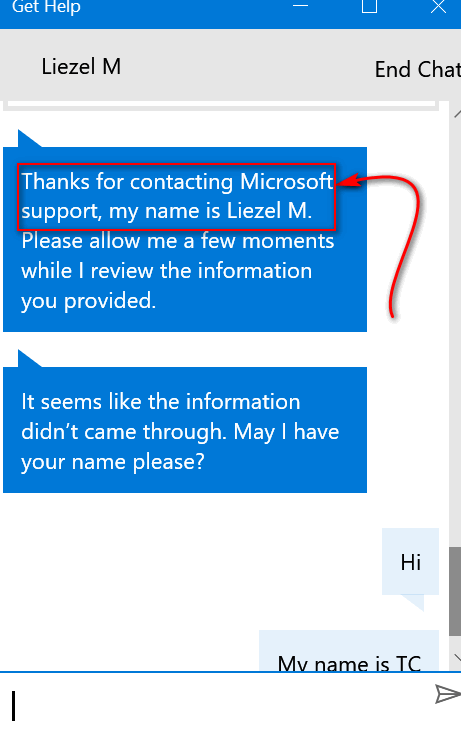 Is there a fee to talk to a real person from Microsoft, cause I see you have to agree with a support “service agreement terms”? Just wondering. Hi Margie. I answered you by email (in detail) but basically they don’t charge you to talk to them, but if your problem is complex they’ll charge you if you want them to connect to your computer and actually fix the problem. The charge is based (it appears) on the surmised complexity of the problem. I just chatted with the help desk. They are NOT from Microsoft but will work on Microsoft products. They said my repairs on my WIN 10 would be at least $79.00. I told them “NO THANKS AT THIS TIME”. As far as paying for support, we added this to the article – if you require advanced support they will be a charge based on assumed complexity of your problem. However, you can chat or talk with a Microsoft employee free of charge. We talked to a Microsoft employee and we chatted with a Microsoft employee when doing research for this article. My WIN 10 problems are: AFTER ABOUT 30 MIN OR MORE, MY SCREEN GOES CRAZY — BLINKING UNCONTROLLABLY — AND MY WIRELESS MOUSE ALSO GOES CRAZY AND OUT OF CONTROL. I would prefer to have CLOUD 8 TO HELP ME INSTEAD. 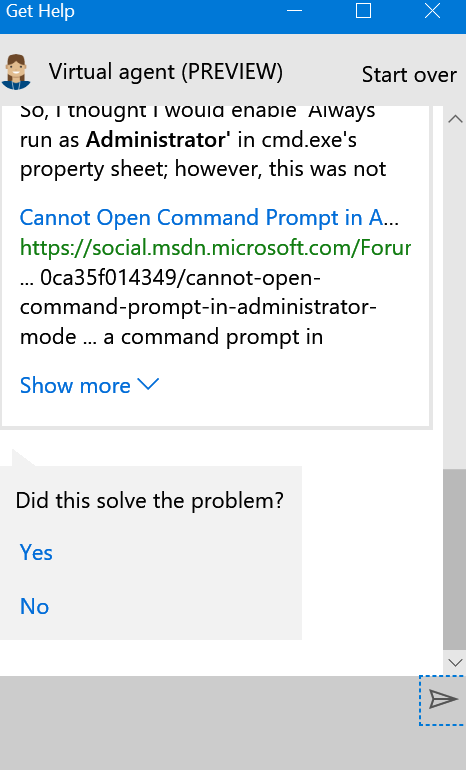 I do appreciate ALL the help I get from CLOUD8, but this service is NOT from Microsoft. I thought, from what you said in your message that this was Microsoft — directly. Overall, I am really unhappy with my WIN 10 !! I never had problems before with my WIN 7, and also — now my WINDOWS LIVE MAIL will not work well anymore and it was my favorite Email browser. Microsoft has forced me to go to 3rd party providers. That doesn’t make sense to me for MICROSOFT to treat their customers the way that they do. As far as I am concerned, WLM was the BEST Email browser they ever created, and all of their versions of OUTLOOK just don’t work as well for me. Many of my friends have turned to Thunderbird, but I really don’t care for it either. Now, I have selected MAILBIRD and so far it is doing almost everything that I need! It is not free, but it is very reasonably priced. We warned Windows Live Mail users last year that Windows Live Mail was going to quit working and Microsoft was not going to update it or keep releasing patches for it. As far as Mailbird, we absolutely hated it – but email programs are a matter of personal choice like other programs – such as a Web browser. We tested Mailbird and found it ponderous with many features most people would not use. We found EM Client to be a nice email client. Thunderbird, when installed and set up correctly, is excellent. And we’re currently testing other mail programs. Best advice? Use what works for you.